Yay! Version 1.2 is now available in the App Store. The calendar now shows additional info on the right side, you can turn this on/off if you prefer so. You will now also receive a notification 1 day before any anniversary date. This app now has a Banner on the bottom of the screen. This way, the app can stay for free. In future, there will be a paid version of the app without a banner. Edit date button now has a label instead of icon, to make it more clear that it is tappable. special dates overview does not show the empty dates between the calculated dates. The Anniversary Calendar app has some issues with the new IOS 9. I am working on an update to fix these issues. Since the 1.1 update, I noticed that the anniversary calendar app is on the main startpage of the Lifestyle category in the Dutch version of the Appstore. Let’s hope it stays there for a while ! The new update for the Anniversary Calendar App has been submitted to the Appstore! Special dates overview : see at once who has a special calculated date to celebrate. It will be possible to add memorial dates. Proper descriptions will be shown. The date detail screen will be re-designed, in fact it will be a popover. Export option to save a copy of all the dates that you have entered in the app, export to html and csv. The calendar now starts with the current month instead of the previous one. The date details screen has been redesigned. 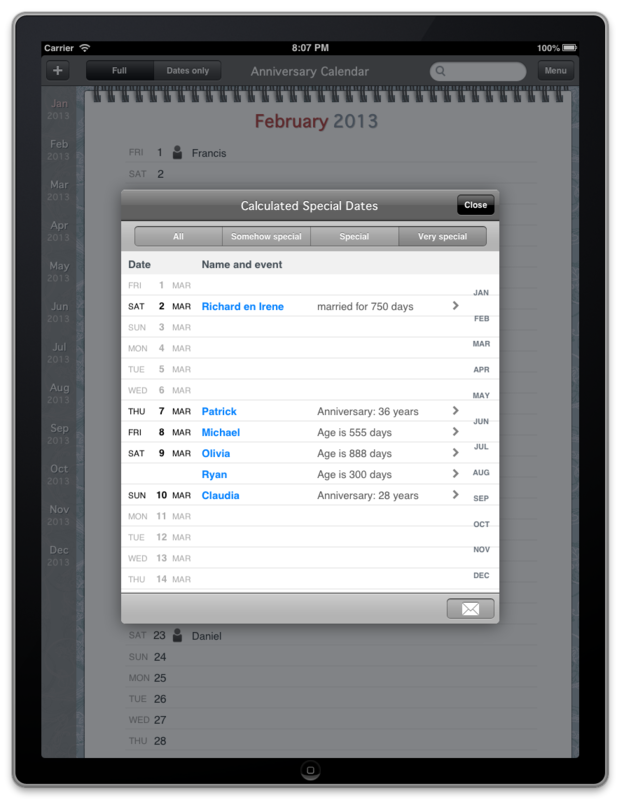 Now that the Anniversary Calendar is in the appstore for a little while, it’s time to plan for an update. The next update will contain new features, bug fixes and some minor changes. With multiple dates on a single day, the daynumber was sometimes being shown multiple times also. 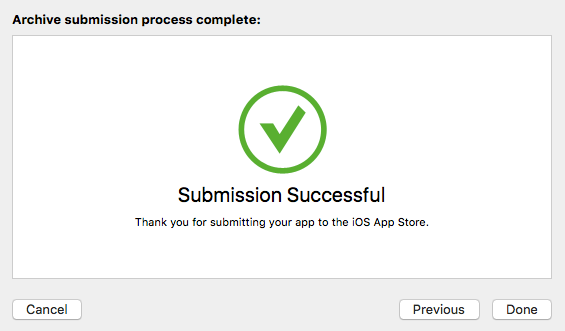 Now it’s time to have the fingers crossed and wait for the App review team to check out the app.